Qi: The word most associated with Qi is energy. This is as close as we get in English translation to its meaning. Perhaps the most basic way to explain Qi is to say: living bodies contain Qi. Dead bodies do not. Qi is like the clouds; you know they are there, yet they have little material substance. You can reach into a cloud (if you are at the right altitude), but you can't grab and take some home. You can fly an airplane right through it as though it wasn't there, although it's bumpy. But they effect how the airplane flies, the weather, block the sun; we know they are there. You can't bring a cloud into the laboratory and study it. You can only observe it where it is. Qi is like this. You can observe the effect is has on things, but you can't bring it to the laboratory and study it. You can study it in its place. The Easterners have been doing this for centuries. Blood: This means not only the blood in the vessels, but a much broader term that encompasses the more dense and material aspect of Qi. Qi & Blood are inseparable: Qi infuses Blood with life. Without Qi, blood would be an inert fluid. It is derived from the food and its main function is to nourish the body. Blood also has a moistening function that Qi does not have. Oriental medicine says that Blood is the mother of Qi and Qi is the commander of Blood. They move together. They flow not only in the blood vessels, but also into all parts of the body, nourishing, moisturizing, and bringing life (like micro-circulation). Meridians- These are pathways of Qi and Blood. They have been mapped over thousands of years. They are NOT the blood vessels or the nerves. In Eastern theory; these channels are unseen, but provide a kind of informational network that unifies all parts of the body. This is the basis of acupuncture theory; working with points on the surface of the body will affect what goes on inside because it affects the Qi and Blood traveling through the meridians. There are twelve regular meridians and eight extra meridians. There are also many smaller meridians so that the entire body is supplied with essential Qi and Blood throughout and thoroughly. Yin & Yang- The most important and most basic theory of Oriental Medicine. The concept is extremely simple, yet very profound. Yin and Yang represent opposite yet complimentary qualities. Yin & Yang relate to the dark and the sunny side of the hill. Everything is either yin or yang, but only in relationship to each other. Neither stands alone. They are interdependent. Examples: It is best represented in the Yin/Yang symbol. They need each other, for without night (black) (yin) there would be no day (white) (yang). They hold each other up in the yin/yang symbol. Also, there is always a little of one in the other (the eyes). In the middle of the night, the light starts to come in - and changes night gradually into day. The change of yin into yang. They are independent of one another but transform into each other. In the yin/yang symbol, this is expressed by the gradual size change of the colors on the outside of the circle and the flowing motion of the symbol. The circle represents this as an ongoing process. 1. Although they are opposite stages, Yin-Yang form a unity and are complementary. 2. 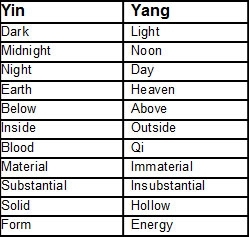 Yang contains the seeds of Yin and vice versa. 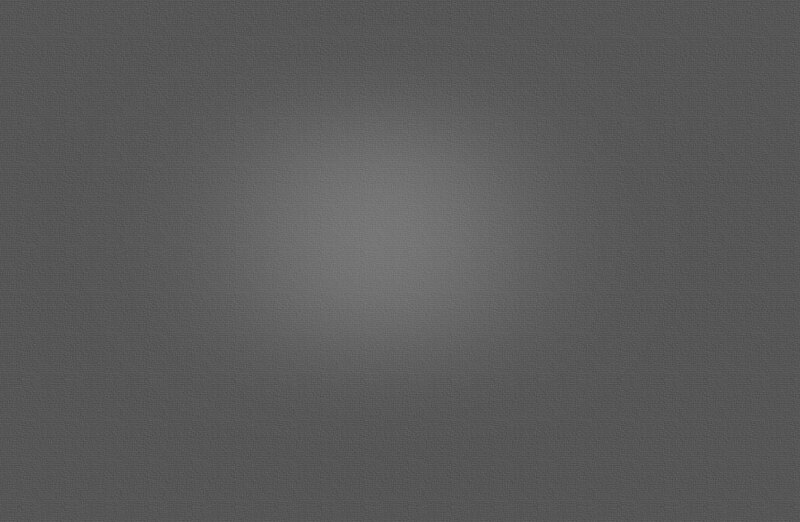 This is represented by the small black and white spots. 3. Nothing is totally Yin or totally Yang. 4. Yin changes into Yang and vice versa. The ultimate balanced state is but for a moment. The rest of the process is forever dynamic, never static. This is health. This is the body. This is life. Always changing. The only constant is change. This is why we must adjust according to many factors affecting us; to maintain the best balance possible, which is only for moments 'in balance'. Diagnosis- There are several principle theories for diagnosis in Oriental medicine. Your Oriental Practitioner will use these and apply a Chinese diagnosis of your condition, and treat you accordingly. Over time, your acupuncturist will perhaps teach you some of the concepts and ideas. It is a fascinating and new way for most westerns to look at health, yet it is a very common sense approach. Everything and everyone is connected. Everything in and around us (weather, illness, stress, people, food, etc) affects us. This medicine is about this inter-connectedness and helping the body be more balanced in the face of this. It is fascinating and effective, hence it's long lasting and growing use.